The Pirastro Piranito Violin String Set is ideal for the student musician. The single filament steel core produces balanced tones that have a clearly pronounced projection. The A string is aluminium wound for a more flexible feel. The D and G strings? chrome winding provides a more durable and consistent sound. The E String is left unwound for a more direct response. The range of windings provides the musician with more dense tonal colours. 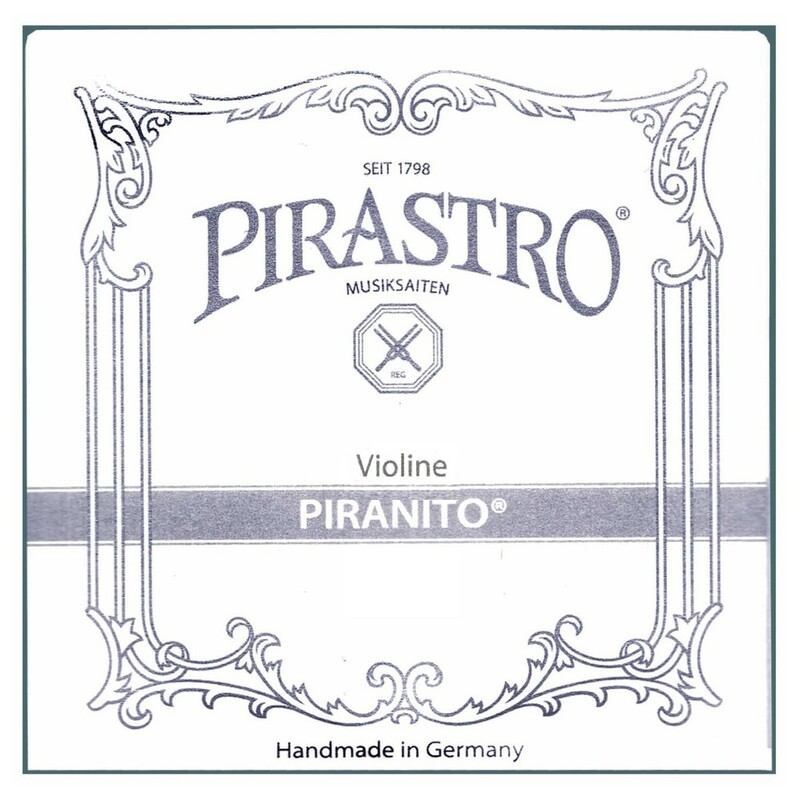 These strings feature ball tailpiece ends and are designed for full size violins.